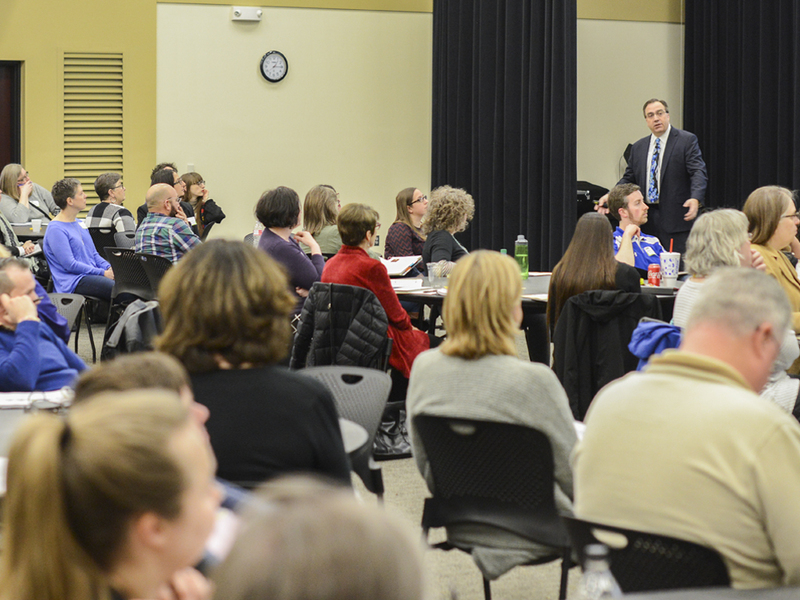 Butler Community College hosted its third-annual Great Plains Conference on Acceleration February 21-22, bringing more than 120 educators from seven states to glean knowledge from keynote speakers and breakout sessions. Butler established the conference for other educators because of the success seen among Butler students and the desire to provide a platform for other colleges to improve their developmental educational programs. Butler’s Accelerated Learning Program (ALP) has helped excel and accelerate students to higher levels in their college careers. According to Kathy McCoskey, Conference Chair and Developmental English Lead at Butler, ALP students are 20 percent more likely to be successful in English Composition I than Butler students in that course prior to the program establishment. Additionally, Butler’s math curriculum redesign into a module format has shown 15-20 percent increases in math course student success along with a ten percent decrease in student withdrawals from those courses. This year’s conference was themed, “Models of Success: Placement, Results and Support.” The focus was on developmental educational program redesign, placement, curriculum and active pedagogy in the areas of English, math and reading. Redesigned developmental educational programs are structured for students to advance faster into college-level courses. Institutions striving to redesign programs and curriculum for these students received first-hand advice from fellow educators at the conference. Keynote speakers, John Hetts, PhD, of the California Multiple Measure Assessment Project and Dawn Coleman, educational researcher and evaluator, also shared expert knowledge for educators regarding placement and data research.